Is there a better alternative to Fonty? Is Fonty really the best app in Font Tools category? Will Fonty work good on macOS 10.13.4? 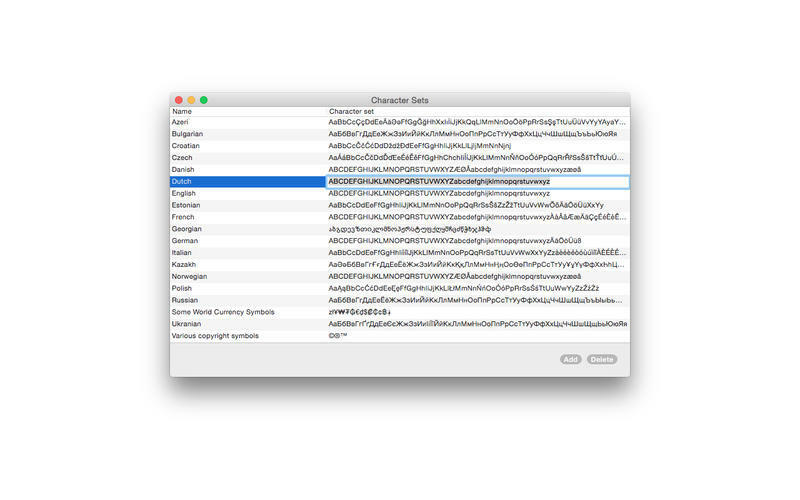 Fonty allows you to scan all the installed fonts on your Mac and lists their character support. Fonty comes with some predefined character sets for some common languages and groups of characters. Fonty was designed to help graphic designers choose appropriate fonts for multilingual artworks which have the right characters for all required languages. However, the character sets don't necessarily have to be language specific. You can create your own character sets with whatever set of characters you like (e.g. : currency, scientific symbols, braille, etc.). Fonty needs a rating. Be the first to rate this app and get the discussion started!